I did a very un-Oreo thing last night and attended a screening put on by a group of black writers. Yup. Me, in a room with a couple dozen other of colors watching a movie about the Harlem Renaissance. Him: Are you gonna have some of that chicken? Him: Oh, what are you, a vegan? Me: No, I just don’t like spicy things…or wings. The wings just aren’t my favorite part of the bird. I am really excited about this gouda, though! 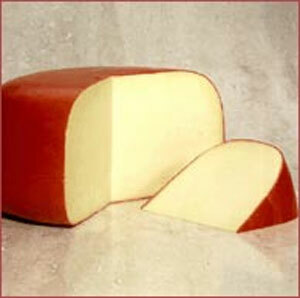 BUT, before I cleansed my palate with some imported Dutch cheese, I totally realized…we DO all look alike! Going into the Writers Guild building, all I knew is that a group of black writers–some of whom I’d met before–was going to be screening this film. He showed me to the elevator and I headed up stairs. I got of the lift and looked around for where my event might be. I found a room full of colors who looked familiar enough, I mean there were folks with twists like the last time I met this group… I walked inside and sat down. They continued their conversation around me…a conversation that I quickly found out was NOT about the screening I was meant to be attending. After a few awkward beats, I grabbed my new pashmina (thanks, Casey!) and slunk out of the room…found another gaggle of of colors, had the aforementioned chicken/cheese convo and sat down for the film. On one hand, I felt like such a non-color, I mean, they was a group of RBP. They must have been who I was looking for, right? How was I to know that there might be two groups of RBP gathered for two totally different purposes in the same place without authorities being alerted. But on the other hand, I felt like a real RBP…after all, I was seen in the vicinity of almost 50 other of colors. And I hardly had time to sound any of my Oreo distress calls. The gouda thing was helpful, but I did just finish rereading Fear of Flying and am setting up an appointment with a new riding instructor. The movie started before I could spit out those gems. Plus, I couldn’t even blush when I realized my mistake in the first room. What do you think? Was my night made of fail or win? Also, when you do discover you’re in the wrong meeting…how do you sneak out. I thought about making light of the sitch and skipping away. But instead, I pretended like I had to go to the bathroom…with my wrap…and my purse…and my notebook…and my bottled water. None of us are perfect. See other Oreofails here: musicvideofail, whatareyouseeingthisweekendfail and evenharvardprofsfailfail. Ha! I say a win, despite that momentary “oops” moment. Lori! Good to see you! Since when do RBPs attend film screenings at the Writer’s Guild? Unless you tell me things were thrown at the screen, I’m refuting your claim. RBP with an education higher than high school, mature, and/or make more than $30K/year. Basically, the MAJORITY of RBP, Lang. What movie theatres have YOU been going to? Geez… I know this is the whole point of this blog, but such a shallow generalization is like me saying that because your last name is ‘Lang’, you’re a 1st-generation Scotsman whose parents watched wayyyy too much 70’s TV before coming to the States for their own good and passed along such stereotypes to you, the child. In an effort to fit in, you kinda went along with the crowd, even though your conscience screamed at you to stop, STOP! to no avail. In case you haven’t noticed, I’m already in no mood today for belittling. Reading this particular post put me in a worse mood than before.